Beneath (from Wiktionary) – below or underneath. I decided, in late January, that I could not stand another workout in the gym during lunch. I wanted to be outside, to get fresh air, and enjoy my exercise. The daytime temperatures were up to 30 degrees (I’m from Chicago – that’s not THAT cold) and so I started walking again. 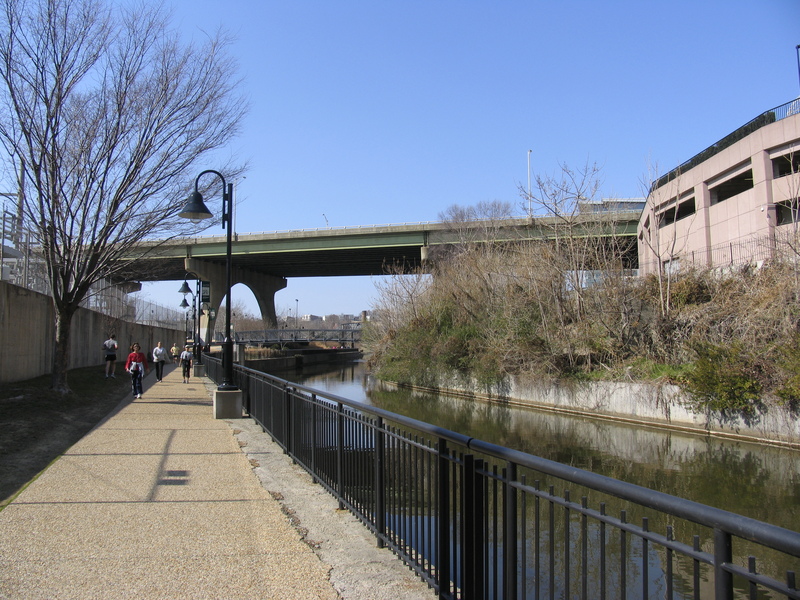 I went into downtown to get more hills in my walk, but most days I came back go work along the canal because it was flatter and little easier for the last half of my walk. The canal is not the most picturesque, but it goes beneath several streets and overall, makes an interesting pattern. Word for tomorrow – SOUL. If you prefer to work ahead, see the list for the week under “A Word A Day”.